All natural and delicious with no sugar and no artificial sweetener. 100% organic, health promoting ingredients. Promote calm and restful sleep. Increase blood flow to the brain. Rena’s Organic donates a portion from every sale to All Hands All Hearts. All Hands All Hearts provides quick response and long-term aid to victims of natural disasters, such as floods, hurricanes, fires, tornadoes and earthquakes. A+ Rated by Charity Watch. 96% of our donations go straight to those in need. Finally, CBD is legal in all 50 United States! Now that the FDA has lifted their ban on Nature’s most effective pain reliever, the issue is, where do you get authentic excellent quality, potent CBD that you can trust? How do you know you’re getting true INDUSTRIAL HEMP (CBD) and not just plain old, Hemp Seed Oil, with no medicinal value? CBD Super Cider® contains only potent, safe and effective CBD. 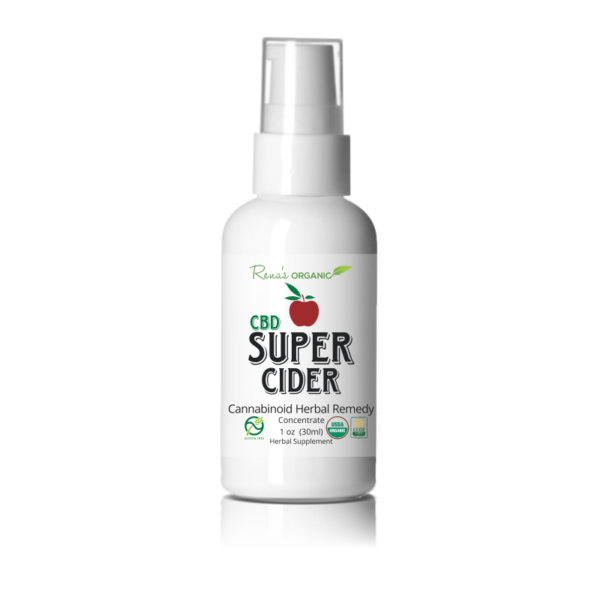 I developed CBD Super Cider® as a premium herbal cannabinoid concentrate with the highest quality, organic, full spectrum, medical grade CBD. Our CBD is third party tested. Every batch is independently analyzed for strength and potency—grown just for Rena’s Organic®, in the great state of Colorado. 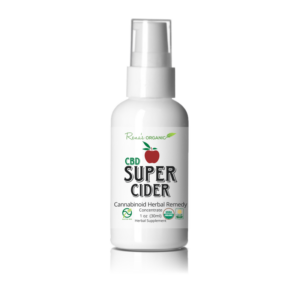 In addition to organic CBD, CBD Super Cider® is blended with a therapeutic herbal formula consisting of 7 powerful cannabinoid herbs added to a base of organic apple cider vinegar, infused with therapeutic essential oils and pure, organic cherry concentrate. CBD Super Cider® is blended and manufactured in rural Oregon, in a state of the art, certified cGMP, organic, facility. 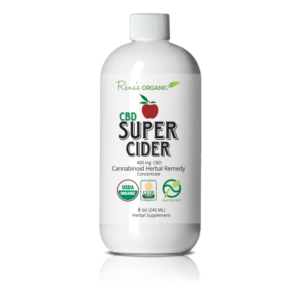 Based on scientific research and feedback from our customers, here’s what you can expect from CBD Super Cider®, taking just one or two tablespoons each day. Pain relief and less inflammation, so your entire body feels better. Greater skin health and appearance. More natural energy so you can do more of the things you love to do. The feeling of having more motivation and a greater sense of wellbeing. Improved digestion and smoother bowel movements. CBD, or Cannibidiol (pronounced, Canna-Ba-Dial), is being called the miracle pain eraser of our time. Its renowned healing powers go back to 2700 BC, when the ancient Greeks used it to treat anxiety, inflammation, insomnia, memory loss, pain and a host of other health ailments. 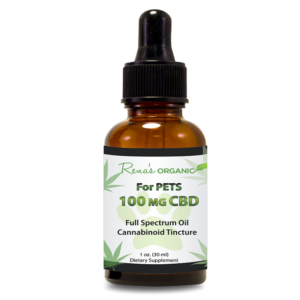 As recently as the early 1900s, CBD was used as a trusted remedy by doctors throughout the United States and Europe, to cure over 100 distinct diseases. Today, doctors are using CBD to help their patients who are suffering from hundreds of ailments including Parkinson’s disease, insomnia, epilepsy, Crohn’s disease, chronic pain, multiple sclerosis, eczema, cancer, and many more ailments. CBD is reported to be safe, effective and completely non-addictive. So why didn’t you hear about it sooner? Doctors, athletes and celebrities have known about the healing power of CBD for years. In 1937, this natural plant compound was caught up in political legislation that made it illegal to grow, buy or use in most of the country. But thanks to new legislation, you can benefit from this amazing plant compound and experience natural, effective, pain relief with no side effects, like you never dreamed possible. Not just physical pain either. CBD is amazingly effective for improving mood, sleep, and reducing anxiety. In fact, the U.S. Military is now using CBD for post-traumatic stress disorder. PTSD affects 1 in 5 military personnel. Doctors prescribe CBD to their patients who are suffering from knee pain, joint pain, shoulder pain, muscle spasms, fibromyalgia, headaches, backaches, nerve pain and other illness. It’s a great natural option for people who want to avoid pharmaceuticals and pain-killers, along with their devastating side effects. The great thing about CBD Super Cider® is that most people feel the benefits immediately. Our customers tell us that within minutes they can feel the soothing pain relief and comforting relaxation. In fact, dozens of medical studies show that CBD has incredible immune building, anti-inflammatory, anti-anxiety, anti-bacterial and anti-oxidant effects. CBD is a plant compound found in the Cannabis species. This is the same plant family that marijuana is derived from. Though they are related, the two compounds have completely different effects on the body. In the late 1980’s, scientists discovered an extraordinary system in the human body called the Endo-Cannabinoid System. This system regulates every major function of the body including pain control, inflammation, nerve health, appetite, mood, memory, brain performance and the immune system. Endo-cannabinoids and their receptors are found in every system of the body. Though the Endo-cannabinoid system performs various tasks throughout the body’s cells, its main function is always the same: homeostasis or internal balance. This is why Cannabinoids that link up to receptors in your Endo-cannabinoid System can have such a profound effect on so many aspects of your health—from immune function to brain function to pain control. This remarkable system returns your body back into balance after an injury, infection or illness. The bottom line is that an optimally functioning Endo-Cannabinoid system is essential for your health and survival. It controls how you eat, sleep, think and even your mood and memory. It even helped me with my Glaucoma, by lowering my eye pressures. My Ophthalmologist couldn’t believe the results and this is what opened my eyes, literally, to the amazing potential in this plant compound. What is the Endo-Cannabinoid System? 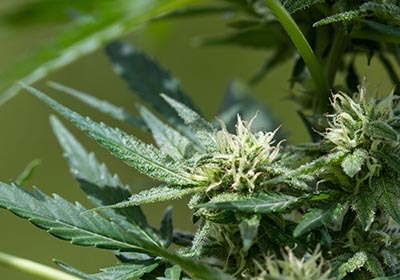 Scientists have identified two main Endo Cannabinoid System receptors throughout the brain and nervous system, as well as in peripheral organs and tissues—CB1 and CB2. Endo-cannabinoids are molecules made by the body that stimulate these receptors. CBD is a Phyto-Cannabinoid—a plant substance that stimulates Endo-Cannabinoid receptors with its anti-oxidant and healing properties. CBD is the most powerful Cannabinoid. But there are others, such as Black Pepper and Echinacea, which is why I added these two powerful Cannabinoid herbs to CBD Super Cider®. Scroll down for a complete list of ingredients in CBD Super Cider®. These plant Cannabinoids work on your Endo-Cannabinoid System to put your body back into balance, by attaching to the CB1 and CB2 receptors in your cells that control pain, inflammation and many other bodily functions. Research is also indicating that when you take CBD and other Cannabinoids, it can act as a signal for your body to build more cannabinoid receptors and increase the number of Endo-cannabinoids in your body—helping to eliminate pain, increasing your natural energy, nourishing your skin and bringing balance to every system in the body. In other words, ingesting plant Cannabinoids seems to create a cumulatively positive effect on your health and wellbeing. The best part about CBD Super Cider® is that it’s so easy to take. 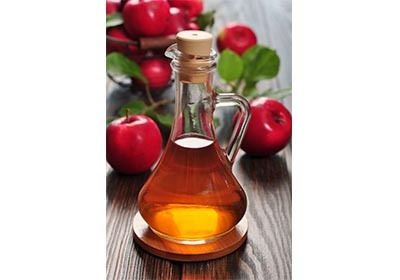 Just pour one or two capfuls of this delicious liquid concentrate into a small shot glass and drink it down. Two capfuls = One tablespoon. It feels great going down and has a nice kick to it. You’ll probably want to “chase it” with a tall glass of water. Or, you can mix CBD Super Cider® in water if you prefer. If you’re like most people, it will just be a few seconds before you feel the relaxing and energizing benefits. As you continue to take CBD Super Cider®, you’ll start to notice its many other health enhancing properties. CBD Super Cider® users tell us that even after just the first day they start sleeping better, feeling more creative, having less or no more pain, experiencing better digestion, smoother elimination and more pure energy, with no jittery feeling. You will feel the benefits and you’ll love the taste. I can’t wait to hear how CBD Super Cider® helps you to look and feel your absolute best. I’ve been offering wellness programs, since 1990, to more than 200,000 people in over 75 hospitals throughout the United States. When I was 26 years old, I almost died when my heart rate suddenly plummeted to 30 beats per minute. Since I was blessed to not only survive but thrive, I am passionate about teaching my tools of health and wellness to as many people as I can reach. Western medicine saved my life. I’ve had a pacemaker in my heart for 30 years. But to maintain health and wellness, to a large extent, I’ve had to find my own system. I discovered a way to make food my medicine. I’ve learned how to use nutrition to put my body back into balance, making issues with food, weight, addiction, blood sugar and debilitating fatigue, a thing of the past. I am thrilled to share my mind-body health secrets with you. Though CBD is only recently available again, it’s been an amazing plant compound that I added to the herbal medicine that’s helped me to restore my own health. 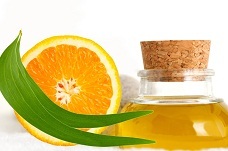 Every Rena’s Organic® product contains only the finest ingredients. My goal is to help people achieve the health, pain relief, wellness and weight loss results they have been longing for. My commitment is to give you the best price possible while never compromising on my high standard of quality ingredients and true therapeutic potency. I am determined to provide you with the greatest value on only true therapeutic products, with the highest integrity. If you aren’t happy with your CBD Super Cider® for even a second, please return it for a full refund. I want you to have the chance—a full 30 days—to reap the benefits of more energy, better sleep, enhanced wellbeing, improved digestion, more radiant skin tone, and overall vitality—with absolutely NO RISK. I am so confident that CBD Super Cider® will bring you life-changing results, that I want you to have the full 30 days to use it. What’s important to me is your health and happiness. If you aren’t completely pleased with your results, simply contact our United States based Customer Support team by phone or e-mail, and we will give you a hassle-free refund, easily (less shipping). My personal guarantee allows you to try CBD Super Cider® risk-free for a full 30 days. Does CBD Super Cider® taste good? Yes! Most people really love the delicious taste of CBD Super Cider®. I’ll be honest with you. It’s going to taste really good from a healthy, natural, organic perspective. It’s not going to have that sickeningly, sweet taste that most drinks offer. You may taste the Cinnamon, the delicious Cacao, the cleansing Apple Cider Vinegar or the pure, organic Cherry. The taste is clean and rejuvenating. But there are NO toxic chemicals aka “natural flavors” in CBD Super Cider®. I am so proud of the final product and how great it tastes and yet it is completely non-toxic. So many beverages, even so-called “healthy” drinks are covered over with unhealthy sweeteners. Not CBD Super Cider®. It tastes great, has a fabulous soothing, energizing effect and gives you a super “kick” going down. How much CBD is in CBD Super Cider? Every bottle of CBD Super Cider® has a generous 400 MG. of Full Spectrum, Organic, Medical Grade CBD, to boost energy, relieve anxiety and help keep you balanced. This gives you 25 mg. of therapeutic CBD in every tablespoon of CBD Super Cider®. 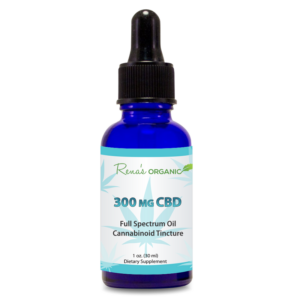 The combination of the CBD blended with so many other powerful, healing herbs and Cannabinoids, plus the nutrient-rich organic Cherry and raw, enzyme-rich, organic Apple Cider Vinegar, gives you a potent, health-enhancing Concentrate. How much CBD Super Cider® should I take? Each person is unique. Trust your body to show you your own best dose. Most people say a tablespoon is perfect, but some people prefer to take one teaspoon a few times a day. I recommend you start with a teaspoon and then work up to a tablespoon, once or twice a day. A capful is half a tablespoon. Most research points to 25 mg. as an ideal dose for balance, health and relaxation. That would be one tablespoon of CBD Super Cider®. If you are in pain, I highly recommend that you also use our amazing topical formula to apply directly on your skin, in painful areas: 1000 mg. CBD Pain Relief Cream or 500 mg. CBD Pain Relief Cream. 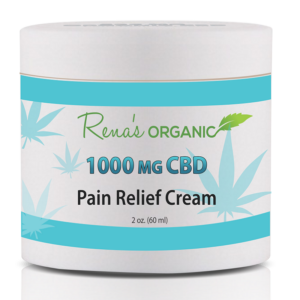 The combination of taking CBD Super Cider® orally with Rena’s Organic Easy Herb Power® Pain Relief Cream has given people extraordinary pain relieving results. What ingredients are in CBD Super Cider®? CBD is one of the most powerful Cannabinoids on the planet. It was essential to me to use only pure, unadulterated CBD of the highest quality, that is third party tested for potency. including pain, but it also makes you store fat and zaps your energy. That’s why I’m including 400 Milligrams of pure CBD in CBD Super Cider® Herbal Concentrate Remedy. This gives you a perfect dose with each tablespoon! since all health begins in your digestive tract. So I included in the formula digestive support components to help eliminate any problem with gas and bloating. Not only does Organic Apple Cider Vinegar increase probiotic action in the gut but it is also proven to ramp up your metabolism, burn fat and alkalize your body so you can feel more balanced.There is no alcohol in CBD Super Cider®. 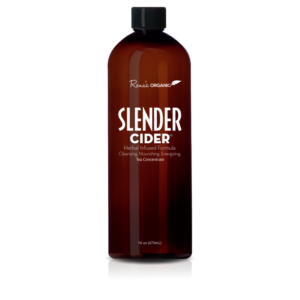 Instead, the herbal formula is blended with raw, organic apple cider vinegar, so there’s nutrition in every drop. 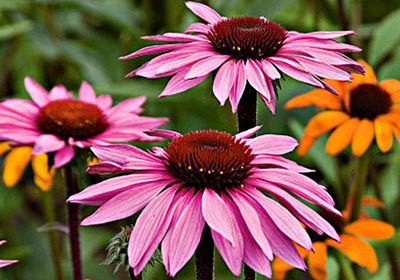 Echinacea Root contains compounds that engage with the body’s own Endo-Cannabinoid System, throughout the brain and body. I’m sure that you’re already quite familiar with Black Pepper, but what you may not be aware of is how powerful it is in terms of boosting your metabolism. 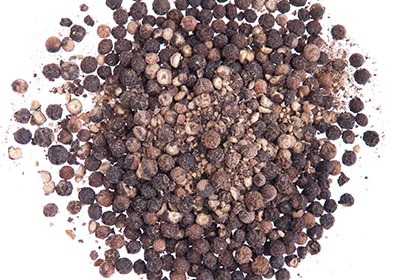 Black pepper is reported to break down fat cells making it a powerful weight loss aid. Black Pepper is a powerful cannabinoid that has high levels of a plant terpene that reduces inflammation to eliminate pain in your knees, shoulders, back, neck, even headaches. 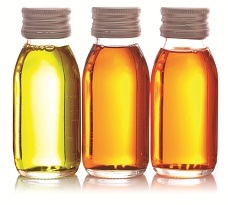 A terpene is a molecule with healing properties that’s found in plant essential oils. that attack healthy cells causing their DNA to become dangerous cancer cells. Raw cacao beans have almost four times the antioxidant power of the average dark chocolate, and have 20 times more antioxidants than blueberries! 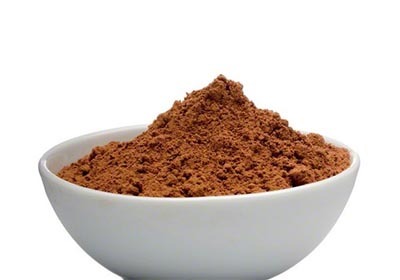 Another great benefit of Cacao is that it is known as one of the most powerful sources of Polyphenols. Hundreds of studies have proven that polyphenols carry wide cardiovascular benefits, including healthier arteries. 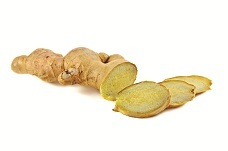 Turmeric has been used in South Asia for its anti-inflammatory and antioxidant properties, for a very long time. In parts of Japan where the population has one of the longest average lifespans – Turmeric tea is a daily staple. 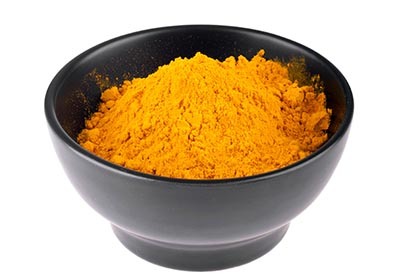 Turmeric is known to have a range of medicinal benefits and research suggests that this compound may also help boost Endo-cannabinoid levels. It’s also been shown to prevent and reverse the effects of Alzheimer’s and is currently being studied for its anti-cancer effects. 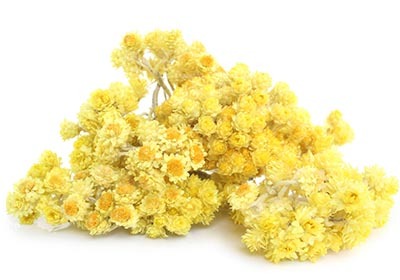 Helichrysum is a powerful compound that works on your Endo-cannabinoid system. 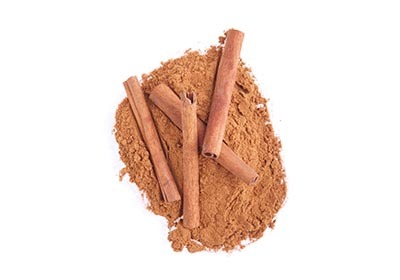 Specially selected for CBD Super Cider® is the fat burning herb cinnamon. and promote healthier processing of carbohydrates. 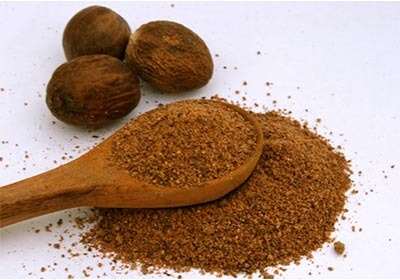 I added nutmeg because it has a powerful impact on the Endo-cannabinoid system. Endo-cannabinoid system by blocking key enzymes that break down Cannabinoids. depression and inflammation of the body. May support a healthy metabolism. Is known to improve your mood. A study in Experimental Biology and Medicine found that ingesting pure lemon essential oil promoted the breakdown of body fat. There are over 500 scientific studies documenting the benefits of Lemon Essential Oil. The secret to Lemon’s success is considered to be: d-limonene, a powerful cancer fighting anti-oxidant. Polyphenols are phytochemicals found in plant food and are full of antioxidant properties. Aiding diabetics and pre-diabetics by stabilizing blood sugar. Lowering risk for cardiovascular disease in men and women. 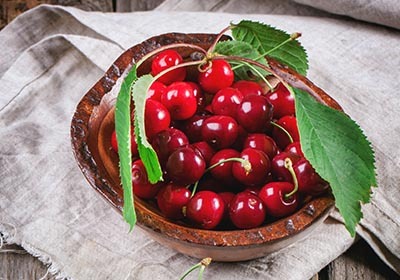 That’s why I added Cherry to this nutritious herbal remedy.